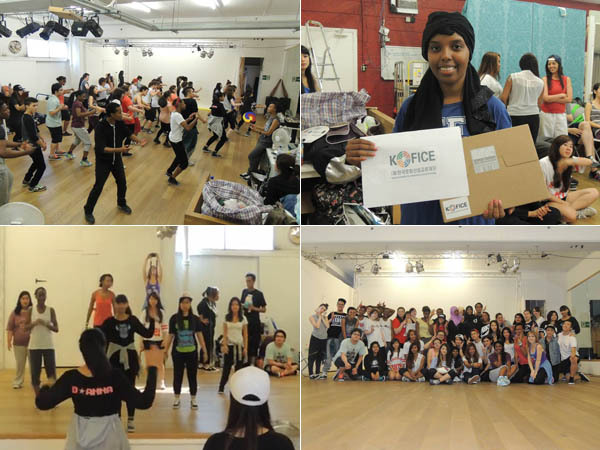 London K-pop Dance Workshop, consisting of K-pop fans, has been hosting regular K-pop dance workshops since 2011. To mark their second anniversary, the community held “LoKo 2nd Anniversary Workshop.” Some 50 participants came to the workshop led by the community director and K-pop dance trainer Tammy, and learned the choreography of four K-pop songs by EXO, B1A4 and other hot groups. For the second anniversary, the community gave away CDs and DVDs as game prizes. On the eve of the event, they organized a K-pop flash mob at Trafalgar Square.